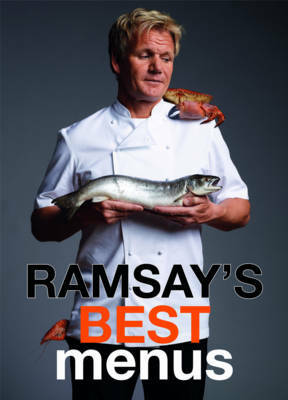 Gordon Ramsay's last TV series, The F Word, culminated in a competition to find the nation's favourite local restaurant. His new series, Ramsay's Best Restaurants, continues this theme, focusing on the country's favourite international cuisines: Italian, French, Spanish, Mediterranean, British, Chinese, Thai, SE Asian, Indian, Moroccan, Mexican and Middle Eastern. To complement the series Gordon has here selected not just his favourite menus from these cuisines, but also the perfect Spring, Summer, Autumn and Winter menus. His 52 chosen menus, comprising 156 recipes for starters, main courses and desserts, are displayed in such a way, on sliced pages, that the reader can mix and match to create their own favourite menu for any occasion and any time of year. So not only is there a Gordon menu for every week of the year, but the menus can be reconfigured, by mixing and matching the pages, to create an incredible 140,000 different menu choices. Every recipe contains number of servings, complete ingredients and a simply explained method. Each menu is stunningly photographed from overhead so however the menus mix and match a photograph of every dish will always be shown. Also included is a selection of accompaniments and essential basic recipes.